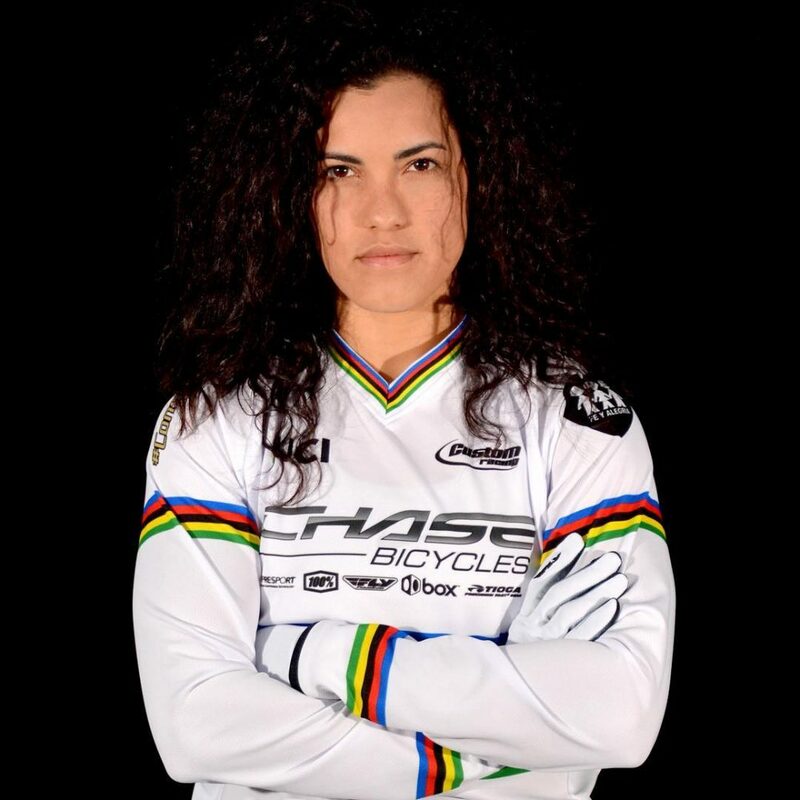 Stefany Hernández was born at Guayana, Bolívar, Venezuela, she is a Venezuelan racing cyclist who represents Venezuela in BMX. She represented Venezuela at the 2012 Summer Olympics in the women’s BMX event. She was fifth in her semifinal heat. Her final standing was ninth. Stefany Hernandez moved from Venezuela to Switzerland to ride BMX 100%. On social media Stefany Hernandez uses the hashtag #consistency469. 469 is her permanent career number, the one displayed on the front of her bike and with which she can be identified in races. Consistency is a word with which Stefany Hernandez identifies herself. “I have been very consistent this year,” says the 23-year-old who finished 6th in the 2014 UCI Ranking with the same number of points as 5th-placed Manon Valentino, of France. The young Venezuelan finished fourth overall in the UCI BMX Supercross World Cup with two podiums, two fourth-places and one fall in the semi-finals. Since arriving at the UCI World Cycling Centre in 2012, Stefany has steadily progressed. The plan is to continue that progression in 2015 and be in peak form for the 2016 Olympic Games in Rio. The prospect of racing at the Olympics so close to home is a particular source of inspiration. The convalescent BMXer arrived at the UCI World Cycling Centre in Aigle, Switzerland, for the first time just four months before the Games. Despite getting back into good shape, Stefany fell in the semi-final in London and did not even get the opportunity to line up in the last eight. It was a make or break situation in her career which saw her return to Venezuela, give up sport and “go crazy” for a few months. The first step of her BMX career began, literally, in her mother’s womb. Stefany’s mother started having contractions while watching a BMX race. Born into the sport, the little girl followed in the footsteps of her two older brothers and competed in her first UCI World Championships, in the Challenge class, in Louisville (USA) 2001. Her brothers were also racing and their father sold his car so he would have enough money to take them.